"Not every baby boomer is going to die on the golf course," he added lightheartedly. Fletcher's bills go against government policy and were seconded by New Democrat critic for disability issues Manon Perreault, who joined him at the press conference, along with Wanda Morris from the organization Dying with Dignity. One of the two bills deals specifically with the Criminal Code of Canada and would allow doctors to help patients end their lives under very strict circumstances. Fletcher said such an option would "only be open to people over the age of 18, competent adults who have a major illness or disability and have made this request numerous times." The other piece of legislation would set up a commission to monitor a system of physician-assisted suicide across the country. According to Fletcher, it would collect data to create profiles of the people who file requests so that "hopefully we can have better public policy as we go forward." The Manitoba MP said there are cases where that is already happening and "it's all sort of done in a nudge-nudge-wink-wink or under-the-table manner and this commission will shed light into the shadows." "The people who are in these situations won't have to fear their families or the law or the institution," he said. "They will be able to die the way they wish." Fletcher is a quadriplegic, paralyzed from the neck down after a car crash in 1996. He still requires 24-hour attendant care. It is unlikely Fletcher will see his bills debated in this session of Parliament, as they fall far down on the order of precedence at number 240. Even so, he said it's necessary that the bill is introduced at this time. "The reality in Canada is that this issue is going to be decided by the Supreme Court this fall by unelected, unaccountable judges," he said. "We should, as parliamentarians, look at this issue as one that affects all Canadians and the people who represent Canadians in Parliament should be able to discuss this issue with respect and understanding and knowledge. We really have not had that debate in Parliament and it's a long time overdue." In 1993, Canada's highest court ruled 5-4 on upholding a ban on assisted suicide in the case of Sue Rodriguez, who suffered from Lou Gherig's disease. The British Columbia Supreme Court ruled in 2012 that provisions against doctor-assisted suicide violated the rights of the gravely ill. The federal government then appealed that decision in order to uphold the ban. A B.C. civil liberties association then appealed that ruling all way to the Supreme Court, which agreed in January to revisit the case after more than 20 years. Only one Supreme Court justice who ruled on the decades-old case remains on the bench today — Beverly McLachlin, who was one of the dissenters and is now chief justice. However, alluding to last week's instances in which the Supreme Court overturned government legislation, Fletcher said he never knows what the court is going to do. "It would be very unfortunate to not even have the debate in Canada before the courts made the decision. The debate may not happen in Parliament, but it is certainly going to happen within Canada and around the kitchen table." New Democrat ethics critic Charlie Angus said he's worried the "hot button, black and white controversial issue" of assisted suicide will derail conversations about palliative care. Angus said the NDP is pushing a national strategy on palliative care, on pain management and providing support to families going through traumatic times. "This is the common sense solution staring us in the face. So before we go down the road saying, 'Well, if you're depressed or if you got an incurable illness, you should be able to die,' let's talk about how to help families actually live out those final years with dignity." 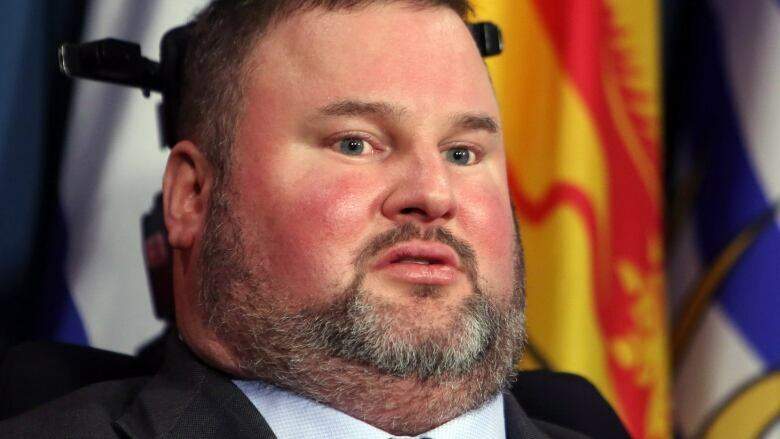 Justice Minister Peter MacKay said on Wednesday that he has "tremendous respect" for Fletcher and understands his personal circumstances inform his views on "this very emotional issue." MacKay said though he's personally "hesitant to re-enter and reopen this debate" at this time, "this is an issue that, by virtue of this private member's bill coming forward, will follow the normal course."